The new tool seeks to improve monitoring and management of fisheries in Indonesia, with scope for expansion to South East Asia, the Pacific Islands and other developing nations. fishIDER (fish Identification Database and Educational Resource) is a website and online training tool developed by CSIRO, Australia’s national science agency, in partnership with Indonesia’s Center for Fisheries Research and funded by the Australian Centre for International Agricultural Research (ACIAR). The experts hope the tool will be used by Indonesian fisheries staff in the field. Indonesia is one of the largest maritime nations and one of the largest fish producers in the world, catching 6.2 million tonnes in 2015 alone – 40 times more than Australia. The tool will improve data quality by boosting the fish identification skills of fisheries data collection staff in markets and fish landing places, helping ensure national and international fish stocks are sustained at healthy levels. It may also improve the speed of data collection from illegal catches where time is often limited. Dr Will White, senior curator at CSIRO’s Australian National Fish Collection, said the accuracy of species identification conducted at local fish markets is fundamental to fisheries management. 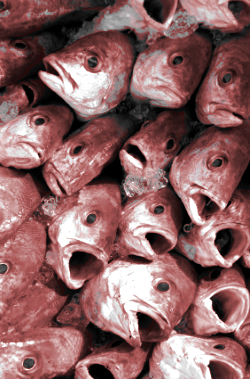 “Fisheries management decisions rely on accurate identification of the catches. If species identifications are incorrect, fisheries assessments could be compromised and a fishery may end up being unsustainable,” Dr White said. “Fish sold in markets can be very difficult for fisheries staff to identify. They may be in poor condition or missing key features like heads or fins, which means they look very different from photos in guidebooks. “This tool solves that problem by improving the fish identification skills of fisheries staff by making it possible to quickly identify fish catches regardless of condition, in local fish markets and landing areas, a task which has been notoriously difficult in the past,” he said. The new identification system is built on fish specimens and images from Indonesian fish markets held at CSIRO’s Australian National Fish Collection in Hobart. It includes species profiles, interactive learning tools and a photo gallery of fishes photographed in real world market situations. “Achieving sustainable fisheries will benefit both Indonesia and Australia, and other countries that share fisheries resources for migratory species such as tuna, and will help improve food security in the region. We are now seeking partners to fund expansion of fishIDER to other countries in the region and to increase the number of species included,” Dr White said.